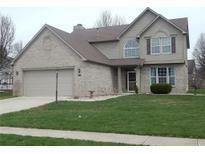 Below you can view all the homes for sale in the Lincoln Pointe subdivision located in Brownsburg Indiana. 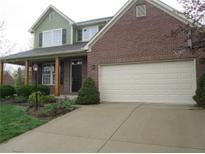 Listings in Lincoln Pointe are updated daily from data we receive from the Indianapolis multiple listing service. To learn more about any of these homes or to receive custom notifications when a new property is listed for sale in Lincoln Pointe, give us a call at 480-577-2304. You will love walking into this lovely home with formal living/dining rooms and dual stairway*Roomy kitchen with quartz counters, stainless appliances and lots of cabinets/storage space and pantry*Breakfast Nook with french doors leading to beautiful fenced backyard with Hot Tub*Family room with fireplace*Master Suite with garden tub, separate shower, his/her sinks and huge walk-in closet*Laundry room with cabinets*Enjoy entertaining in the finished basement with bonus room, exercise area, office and storage room. Lots of updates! 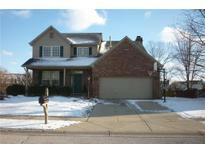 MLS#21624246. F.C. Tucker Company. One-year Home Warranty included. Water-softner owned/stays. MLS#21598461. Integrity Real Estate.